Drake, The Golden Hinde, points not covered in most histories. 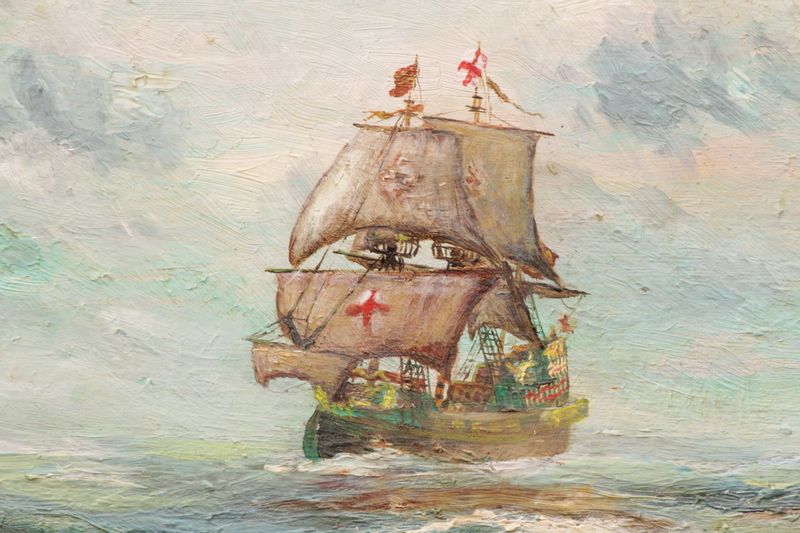 In honour of the great voyage, The Goldern Hinde was placed in public view beside the Thames at London. 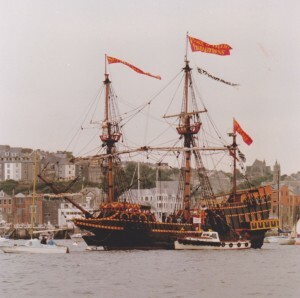 Golden Hinde 2, built 1973, star of many films, her fate, a national disgrace, read about it at the end of this discourse. 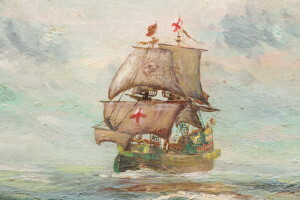 Francis Drake the explorer, discoverer, sailing Golden Hinde during the storm after the passage of Magellan’s Straits, Drake discovered the tip of South America. If you look at a chart you will see that to this day the passage around Cape Horn is named Drake’s Passage in Drake’s honour. Looking for the very best in marine art? You have found it here: Timeless paintings, the test of true greatness/classics. 2. “Time to finish the game’ and still beat the Spaniards“. The academics have obviously not done their home work or sailed on Plymouth Sound. 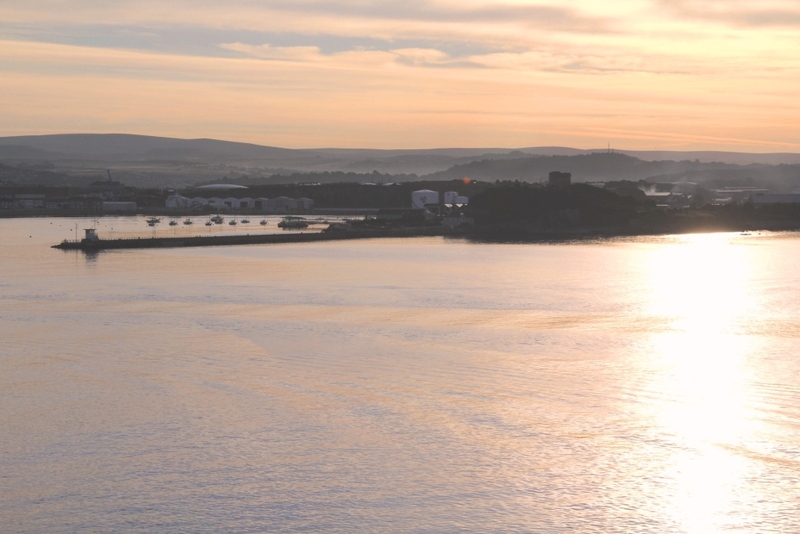 I’ve sailed and raced on Plymouth Sound to many times to remember, often won races in part by knowing the complex currents of the Sound, and kept an engineless yacht on a mooring on the Cattewater where the English fleet awaited the Spanish Armada. I have also checked the tide times thanks to Captain Paul Willerton of Plymouth Uni, at Plymouth Planetarium. At the time the Armada news arrived at Plymouth the tide was flooding & according to original accounts there was no wind. 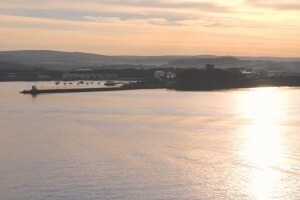 Given that, there was no chance of the English fleet leaving Plymouth Cattewater until the tide turned which is what happened. Drake was a Plymouth man with many friends in the town. 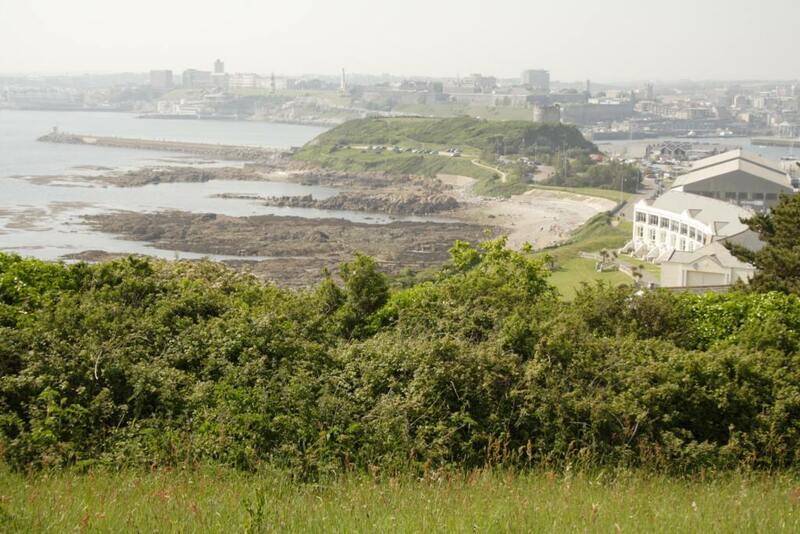 Where better to be on a calm sunny day than hard by the old town on Plymouth Hoe for a game of bowls with ship mates and with fine views of Plymouth Catteware were the fleet lay, The Sound and open ocean beyond? Thus there would indeed have been “time to finish the game and still beat the Spanish” so that legendary story, so typical of Drake, is likely true. It was a hundred years before she fell apart. 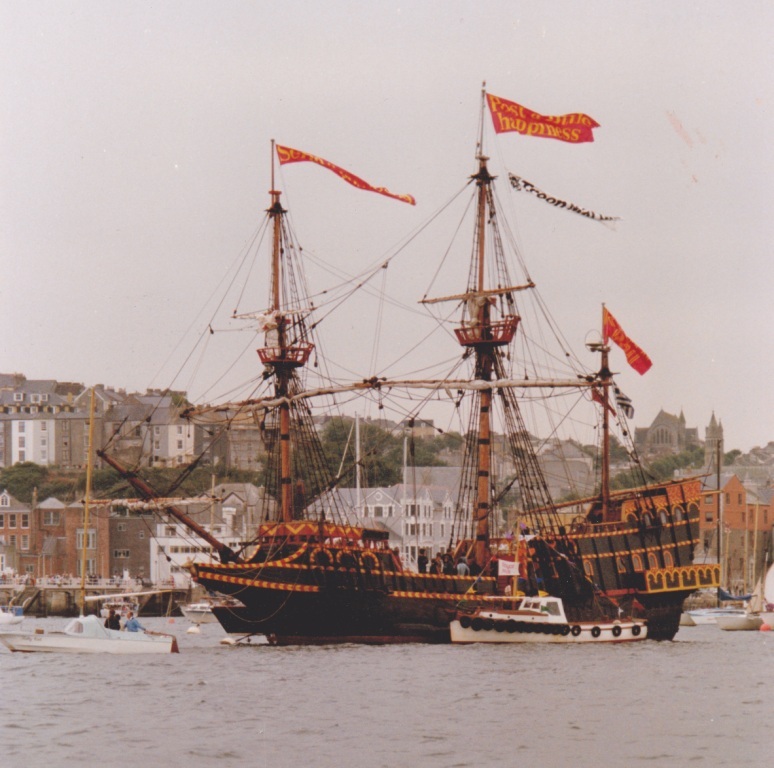 Today Golden Hinde 2, the beautiful ship built at Appledore (1973) and used in so many films is wasting away in an isolated little dock on the South bank of the Thames, a symbol of England’s decline, a national disgrace. Visit her before it’s to late.